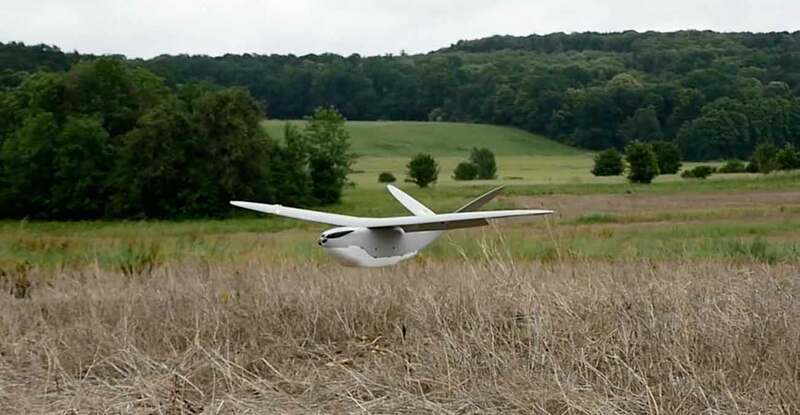 OSB 17 is an intelligence multi mission UAV. Operators have the possibility to switch from surveillance mission with the EO/IR gimbal to reconnaissance mission with the LIDAR and finally intelligence mission with the 2G, 3G, and 4G IMSI Catcher. The UAV carries one sensor, depending on the objective of the mission and the switching time between each sensor is less than 10 minutes. OSB 17 has been especially designed for reconnaissance and surveillance operations requiring high quality day/night video, discretion, robustness and compatibility with military standards in terms of encryption, and transmission. OSB 17 is equipped with a state of the art EO/IR Gimbal offering unrivalled image stabilisation and advanced features such as video tracking with multiple object detection and tracking. The tactical on board IMSI Catcher enables IMSI & IMEI information gathering, direction finding of the target mobile phones, and the blocking of the mobile services selectively or from all the mobiles. The collected information can be effectively analysed in real time or off-line. The detailed map view and DF function speed up the geolocation process and facilitate operations.